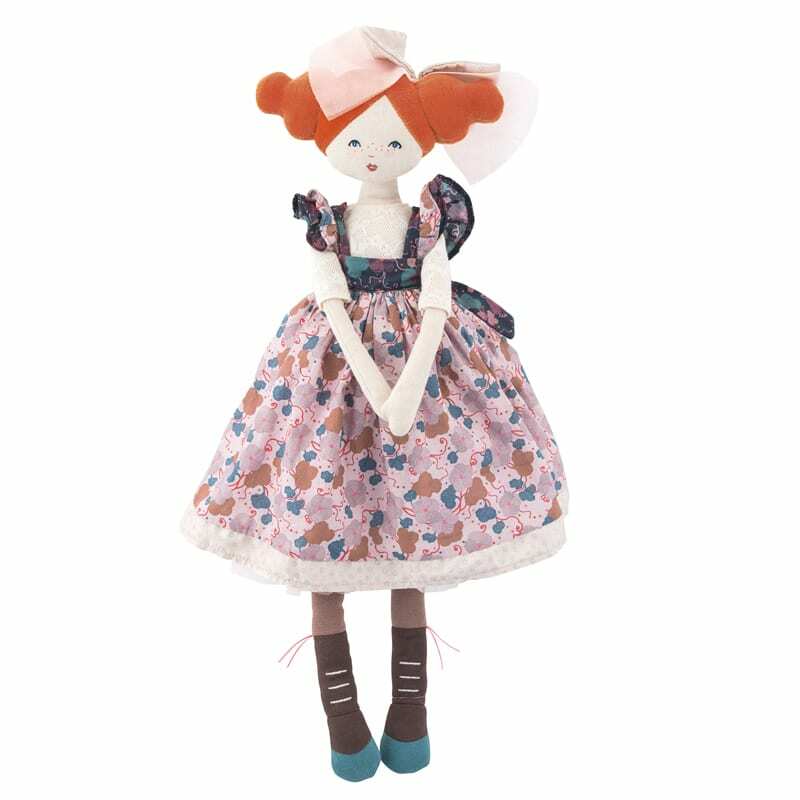 The alluring dame (‘La Ravissante’) is an enchanting doll from Moulin Roty’s ‘Il Etait une fois’ range. Beautifully dressed, she is wearing a floral dress, with a pink tulle underskirt, over a cream lace shirt (the dress, shirt and underskirt are removable). 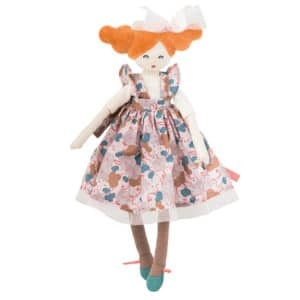 To complete her outfit, the alluring dame has fabric boots and a sparkling tulle and cotton bow in her ginger coloured hair (boots and bow are not removable). 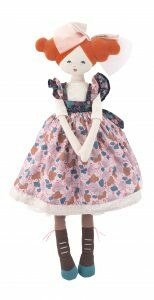 Her upper body is made from a thick linen and her facial features are embroidered. 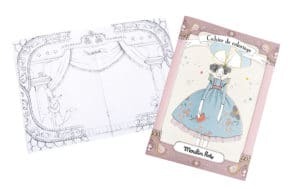 The ‘Il etait une fois’ or ‘once upon a time’ range introduces a magical, make believe world, full of possibilities. 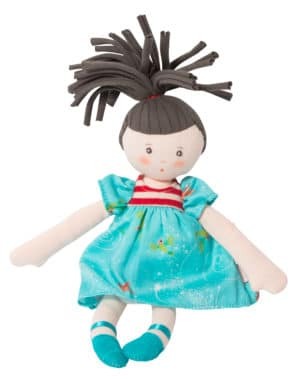 What a lovely way to encourage imaginative play and story telling – along with the other characters from this range, the alluring dame will provide rich opportunities for language development and creativity. This elegant lady would make a wonderful collector’s item or a very special gift. 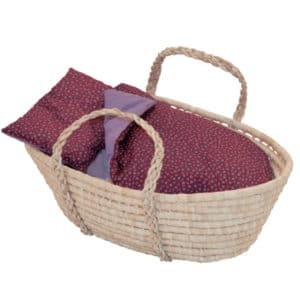 The Il etait une fois characters are part of Moulin Roty’s Jouets d’hier range – ‘Yesterday’s toys for today’s children’. Designed to encourage reminiscence, they are modern interpretations of traditional toys and characters. 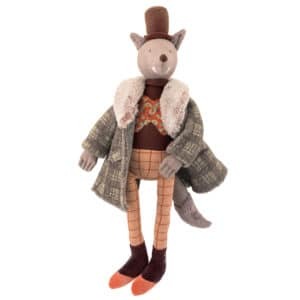 The new ‘Il etait une fois’ range was released in late 2015 and along with the Alluring Dame includes the Gentleman Wolf, the Gallant Cat, Hibou the owl magician and the 3 sweet little mice. 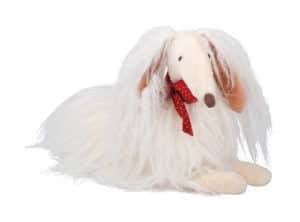 The Alluring Dame is also available in a mini size as well as a handpuppet. Care instructions: Hand wash – cool. Do not tumble dry.